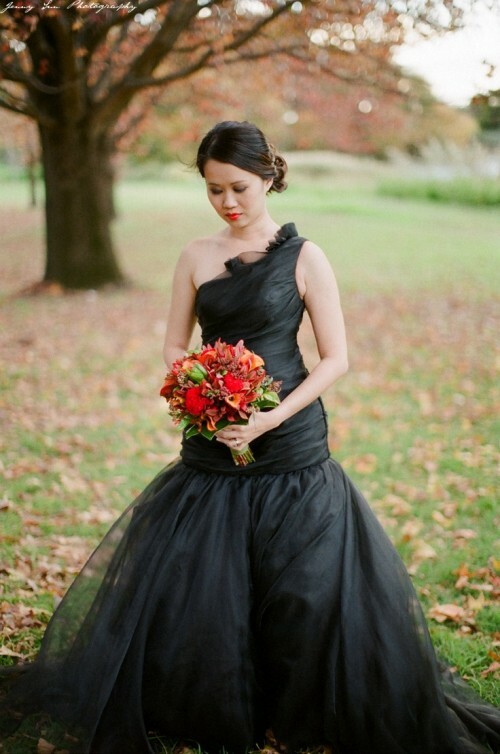 How do you imagine a Halloween wedding dress? 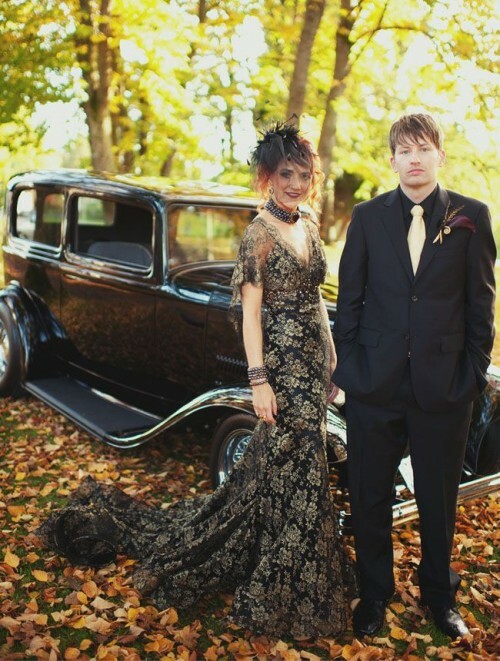 If the couple decided to have an original Halloween-inspired wedding, then a unique dress of black or bright color with Gothic touches would be an ideal thing. Red dress is bright and attracts attention, some Gothic or steampunk touches will give a style to your look. But a more dramatic dress for Halloween is a black one. It’s trendy today and many designers create such gowns, so you’ll have a wide choice. Long and tea-length, black and with some colorful lace, with belts and veils – choose what you love! There are some more colorful gowns, even a pumpkin-colored one, so use your imagination to strike your guests!